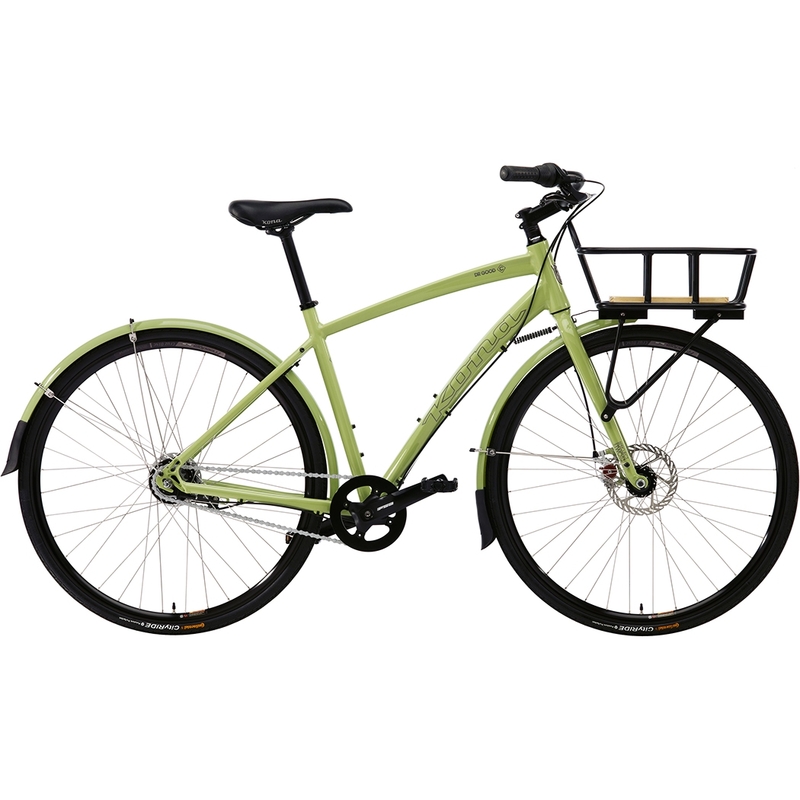 The 2013 Dr. Good is all about creating an elegantly simple, feature-savvy commuter imbued with long-lasting durability. Featuring a newly styled, efficient and light Kona 7005 Aluminum frame, the Dr. Good is highlighted by a clean and smooth functioning internal Nexus 7-speed rear hub. New for this year, we've added fenders with long tails to keep your feet dry, front porteur-style aluminum rack, and wide platform pedals that provide good tread without cutting your shins. "Dr. Good rolls roads with confidence and style." –The Bicycle Buyer, UK.